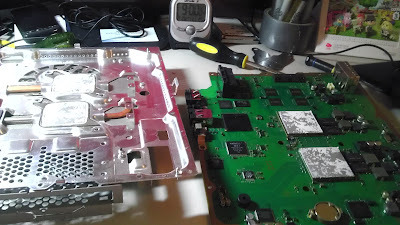 In Part One, I fixed a found PS3 using a hairdryer and some luck. This fix only worked for about two weeks (as expected), good for getting files from a PS3, bad for using it. I had to do something serious to create a fix that would last longer. 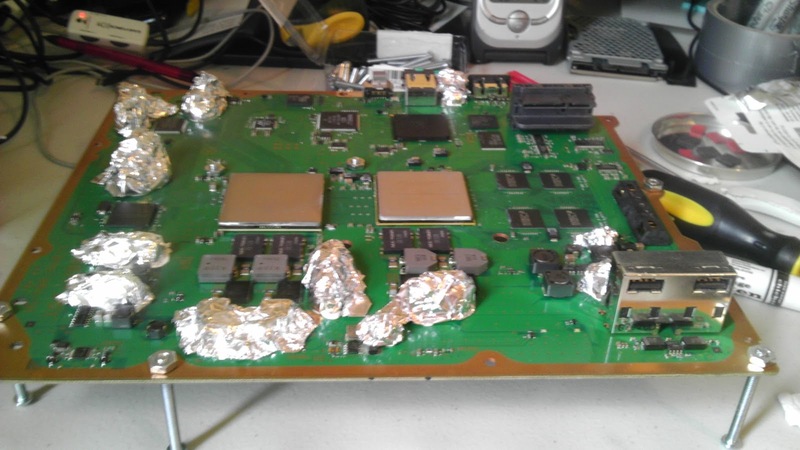 The typical methods for long-term repair are heat gun, oven, or infrared rework station. After asking around my university to see if we had a rework station and looking at the cons to the heat gun method, I decided to go with the oven. 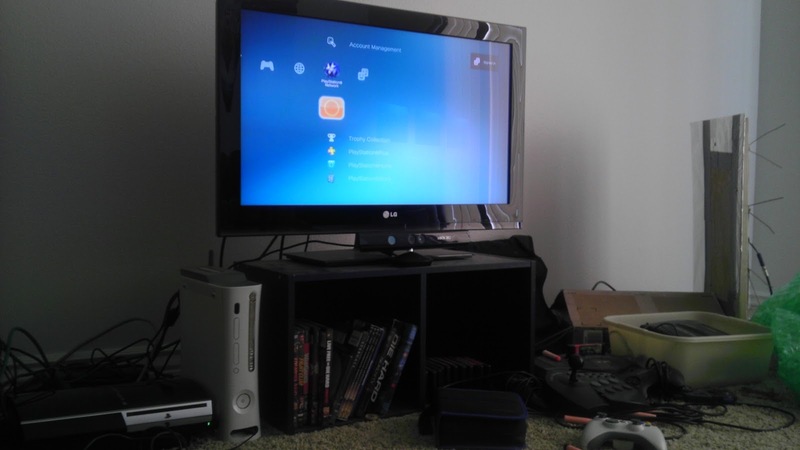 First, I had to tear the PS3 down, further than I did before. 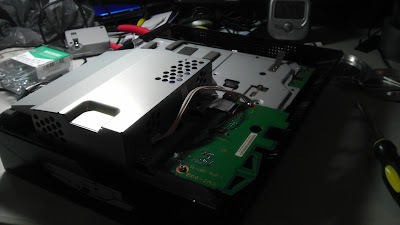 The PS3 is designed incredibly well (except for the part where it breaks) so this was no problem. 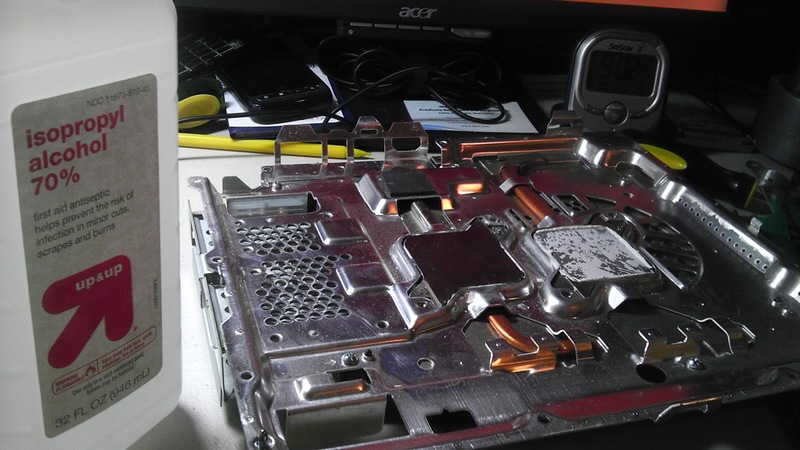 Then I cleaned off the old thermal paste on the heatsink, CPU, and GPU using isopropyl alcohol. I used 70% because it's what I had, but 90% or higher would have worked better. 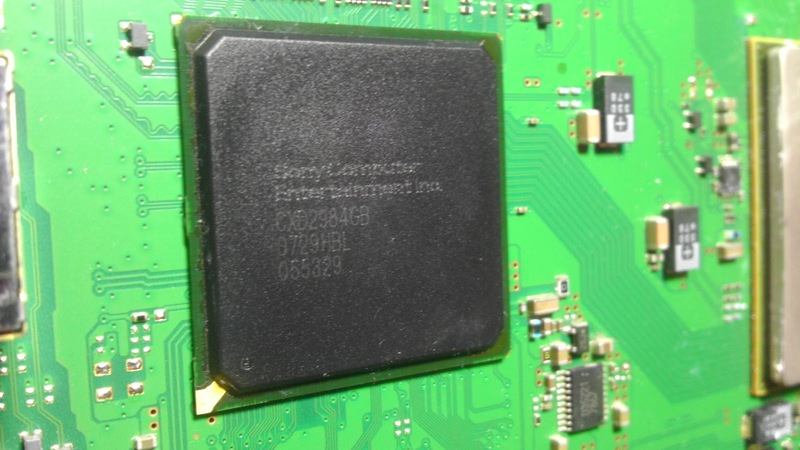 The southbridge is of note, because it uses a thermal pad instead of paste. I left the original pad on the heatsink, it should still work fine. Some other components use thermal pads, on the top and bottom. Although there are many different tutorials on using an oven to fix the PS3, they all seem to have a few things in common. 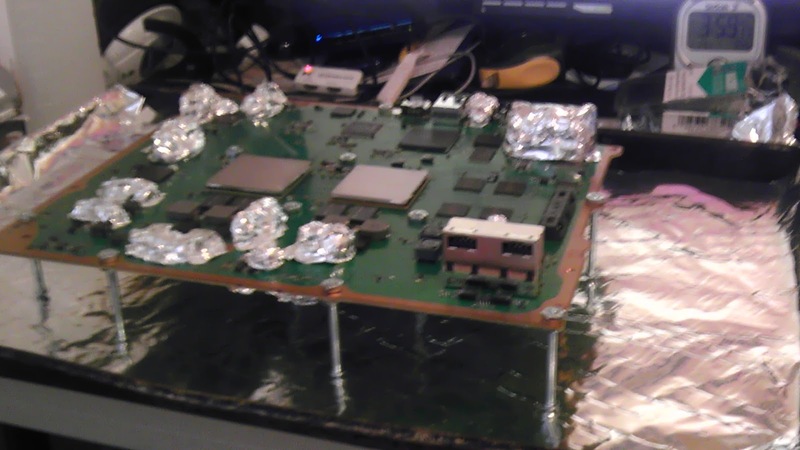 One of those things is insulating temperature-sensitive components using poser hanging tack and aluminium foil, and supporting the PS3 mainboard using machine screws. The most important things to insulate are the capacitors. I also insulated the CMOS battery socket, on-board speaker, and later the SATA hard drive connector. Although a lot of posters claim to have made this repair without any insulation, it doesn't take that long and is a great way to confuse your roommates. The main thing that the tutorials can't seem to agree on is temperature of the oven and time in the oven. I suspect they might all be correct. I inserted the board in the cold oven and heated it to 400°F (~200°C). Then I left it in the heated oven for 10 minutes while keeping a close eye on it. Afterwards I turned off the oven, opened the door, and let it cool down inside the oven for an hour. 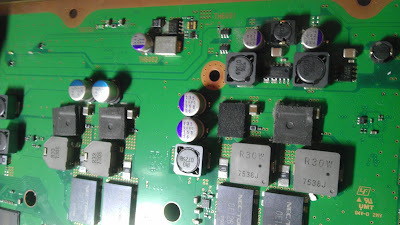 After cooking the flux on the bottom of the board (from the factory) is noticeably darker. This doesn't affect anything, but I thought it was pretty cool. 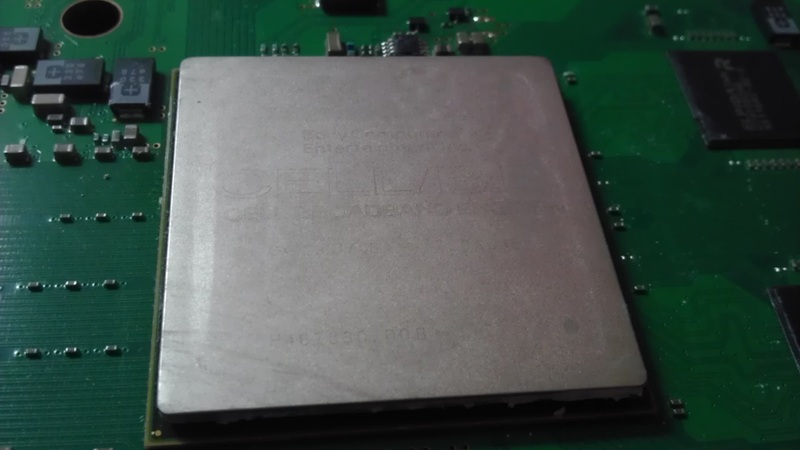 Another thing that most tutorials have you doing is spreading the new thermal paste over the CPU and GPU like it's frosting. 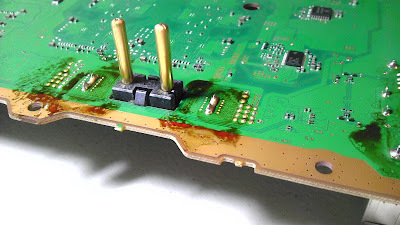 I knew from years of computer building experience that this is not the proper way to spread thermal paste. 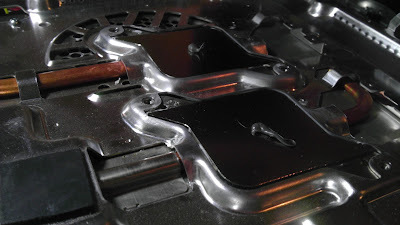 The most effective way is by placing a dot in the middle of the device and letting pressure spread it out. 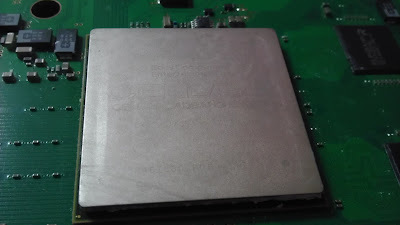 I used Arctic Silver 5 thermal paste on the heatsink (because they go on the bottom). 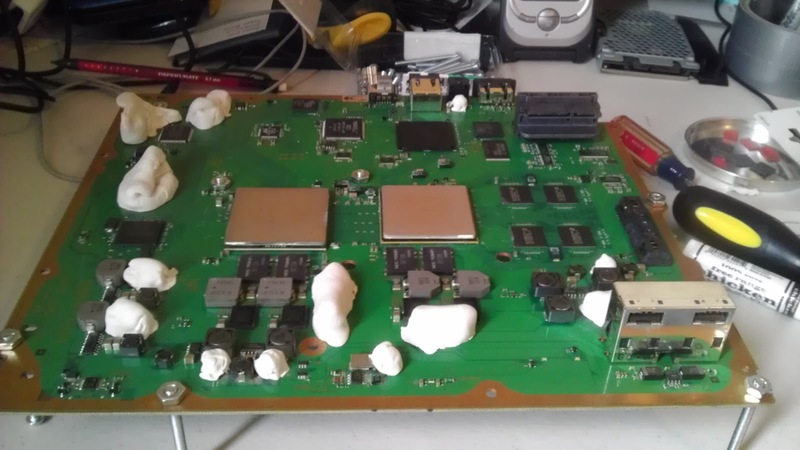 Then it was just a matter of putting everything back together. 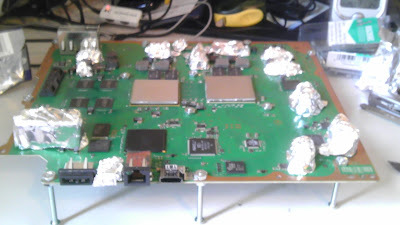 No troubles here, except I almost forgot to put in the CMOS battery. The fix worked, and the PS3 is fine again. Most people seem to estimate that this lasts anywhere from six to nine months, and then it will have to be done again. I will see if that proves to be true. Of course, it is still lacking a disc drive. I will cover that in a later blog post. Notice: Please don't try this by following my steps. The tutorials linked are much more in-depth and easy to follow. 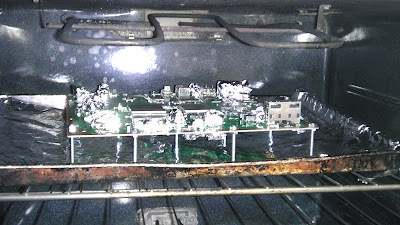 As always, be careful about putting anything in an oven. How long did this work for? 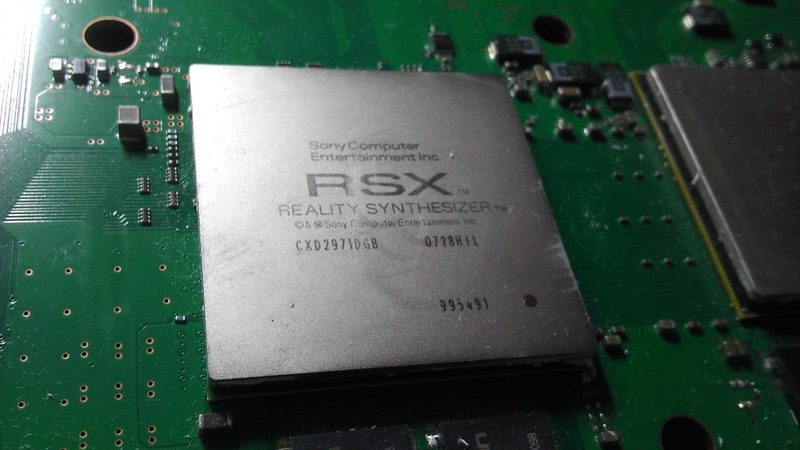 Is the PS3 still operational? 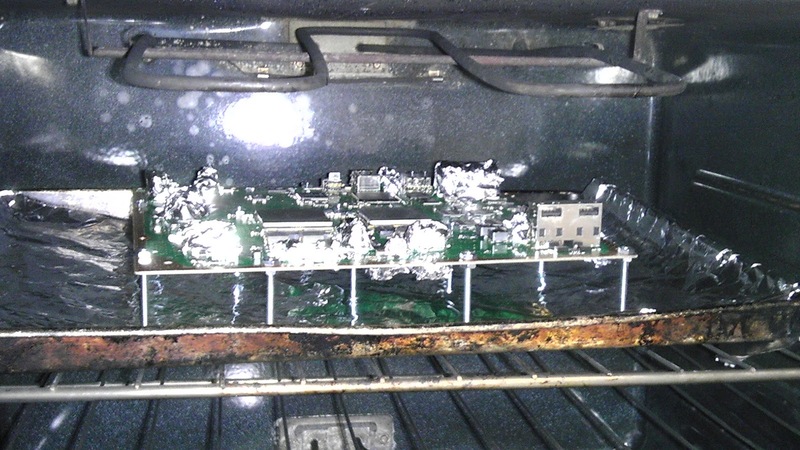 I suspect you may have not had the oven operating at a high enough temperature as the lead free solder does not melt until ~217 C (422 F). You were close at 400 F so maybe it did reach melting point for a brief period. It still works to this day, but I almost never use it. I'm not sure how accurate the temperature on my oven is and my cooking thermometer stops at 170C so it could have been higher.